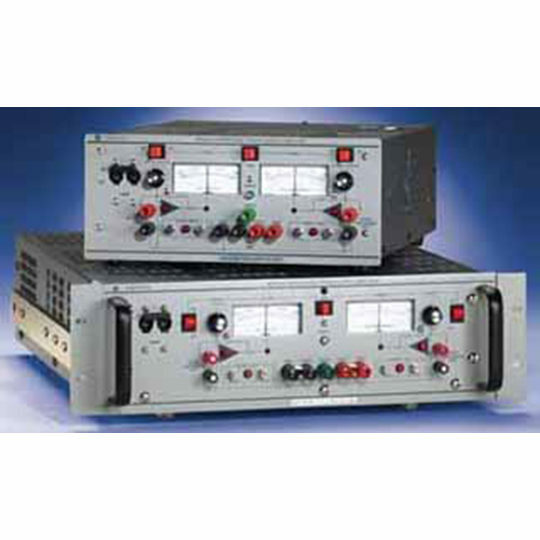 The SPD-3606 DC power supply provides 375W output capacity, three isolated outputs with dual-range for CH1 & CH2, highly efficient power conversion, low noise, high reliability, thorough protection,excellent value, and a compact size. The SPD-3606 creates a new benchmark to satisfy mainstream power supply demands. CH1 & CH2 offer dual-range output at either 30V/6A or 60V/3A per channel to accommodate a wide range of applications. 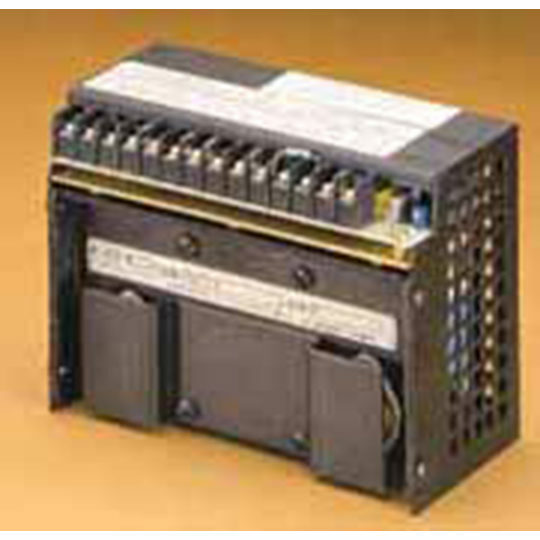 The SPD-3606 supports serial and parallel tracking, allowing the CH1 and CH2 to be internally connected in series or parallel to provide flexible output (30V/12A, 60V/6A, or 120V/3A). High power density and high power conversion efficiency let the SPD-3606 consume less energy, making SPD-3606 a greener power supply. 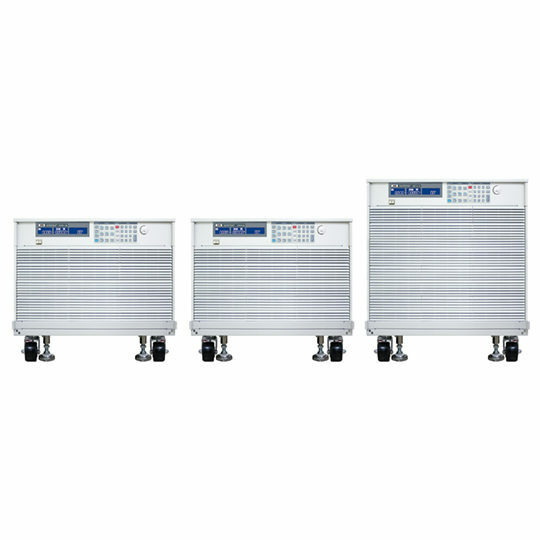 In addition, the high power density makes the SPD-3606 weigh less than half and occupy much less space compared to linear power supplies. To avoid damage caused by improper operation, it also has OVP and OTP. 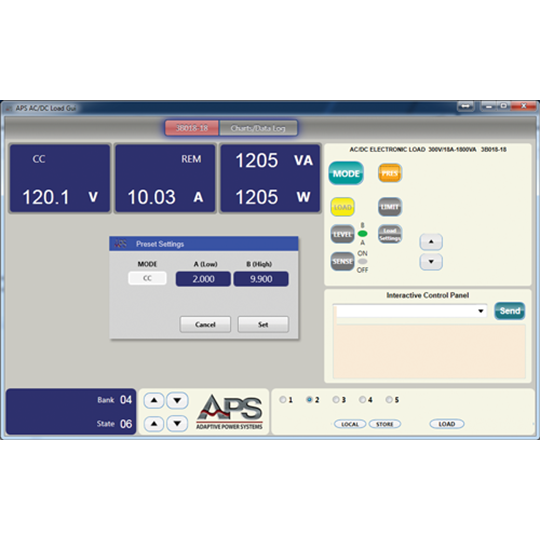 The dual range AC input accepts both 115V and 230V inputs. 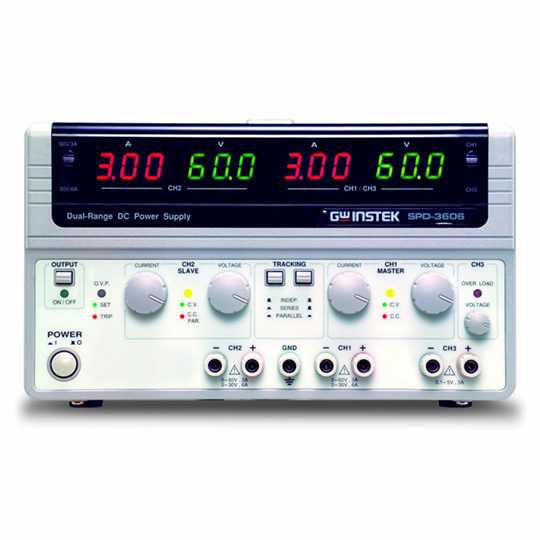 When the instrument is on, devices can be connected and voltage/current levels can be adjusted safely from the front panel by turning off the output via Output on/off key. The optional voltage/current protection knobs can be used to prevent accidental change of the output levels. 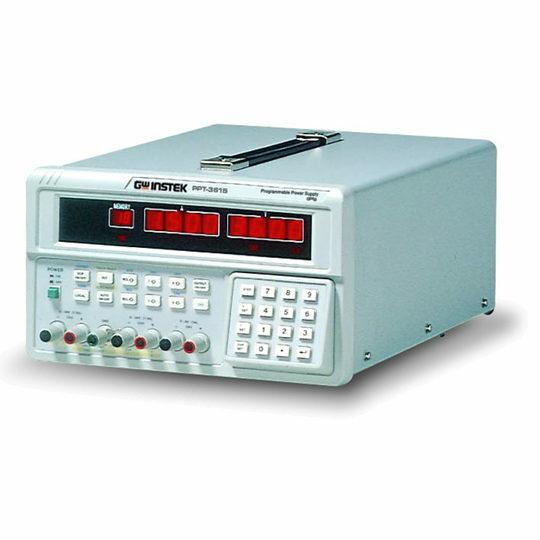 These knobs are useful for automated testing at fixed output levels, such as in assembly lines or product inspections.